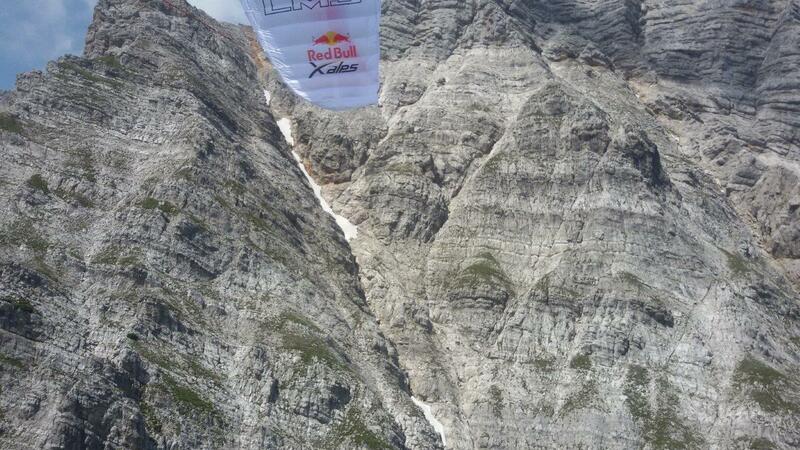 What a fantastic opportunity to be the first New Zealander to compete in the xalps, the pinnacle of hike and fly. 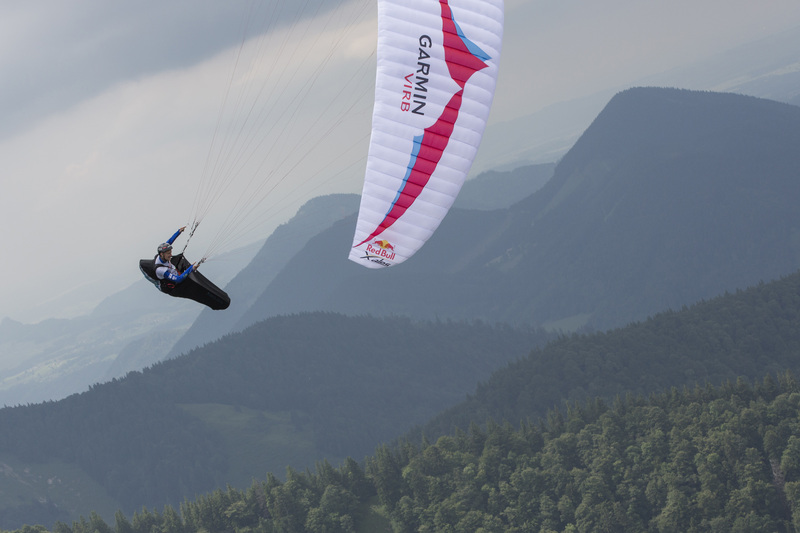 A truly exciting format that I’ve been a fan of since I first found out about paragliding and its immense potential to independently explore the mountains. I’ve always loved sharing my experiences with friends and the public but xalps was different in that it was a team event, with my official supporter Louis Tapper remarking that it had become a bigger thing than just “put on your boots and go”. Nevertheless it was fundamental for me to forge my own style and complete a race that I could be proud of, particularly as I regard the event not as a competition but as a spectacle. 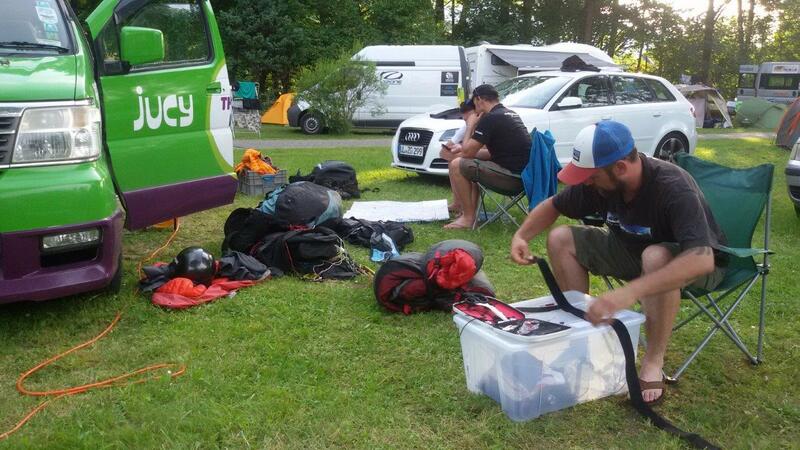 I had an amazing adventure racing all over the Alps over eleven days and of course there are some stories to tell. In general I like the xalps rules and think they have it about right. Having to land and sign something and tricky-to-bag turn points is a cool way to throw a few hurdles into the mix and at times make it possible for people to catch up. 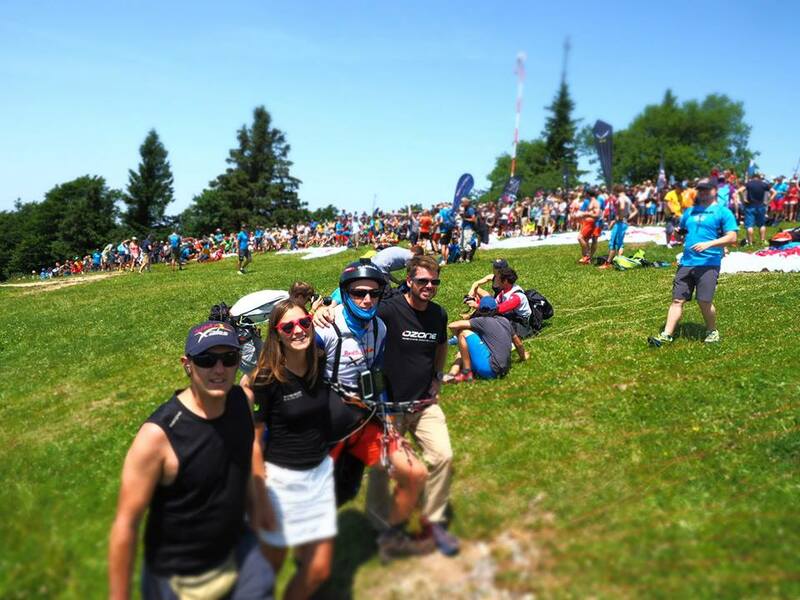 The organisation are very good at their jobs, the commercial side imposes some limitations but as they said xalps is “like a family” and they are all passionate about supporting us and making the event a success. I was hoping the race proper would be longer to justify all of the lead up, but the weather was pretty exceptional so I guess we expected it to be longer. Despite the week of briefings we still managed to get away for some free flying. Soon after we arrived at camp the weather became super hot and there were a few restless souls – but it was a good atmosphere in the camp especially since we could go and fly from time to time. 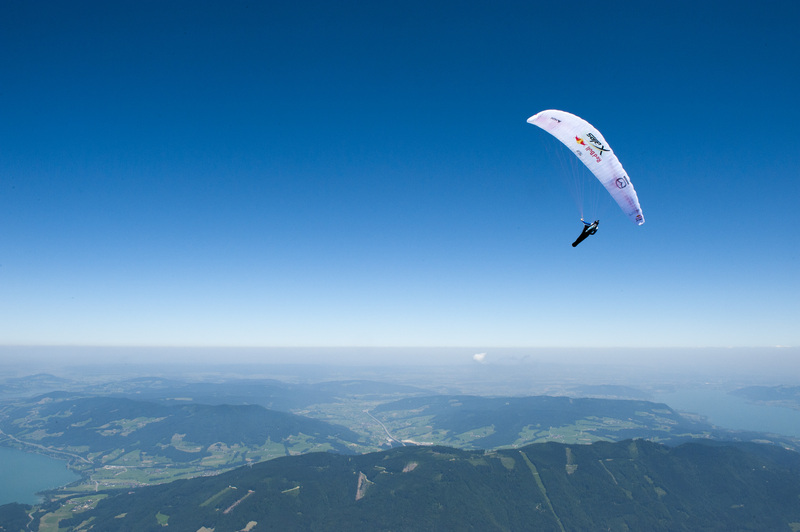 We had some great flying on the course line from the Gaisberg, out to Dachstein and back towards Fuschl, and a day from Bischling which lies between turn points 2 and 3. This was to contribute to my undoing! Blue skies and very hot. We lay in the shade in the tents by the starting line in Salzburg, conserving energy. A few friends came out of the woodwork to say hello. Athletes shook hands and exchanged well wishes. Finally at 11:35am our race started. Normally it doesn’t make sense to run – I say I only do it for the cameras – but the starting time was designed to get us moving. I jogged along with a small group led by Chrigel (SUI1), having some notion that we might be off the set route but not seeing any signs that we’d left it. I let them slip away just as we reached the base of the hill but never was far behind. I reached the Gaisberg summit in 10th position, making sure I kept ahead of Steve Nash (GBR) who is my polar opposite (according to Red Bull). Hot and stable we laid out our wings ready to launch but of course everyone wanted to take off second. I remember Louis was pretty worried about me going first, but I thought it was working. Scratching gradually over the hill it was a really cool to be part of the action, in easy earshot of the commentator talking about me the “flying kiwi”. Maybe not the most sensible strategy but I got away with it and I impressed my girlfriend. I kept climbing out and wondered why not more people were following. 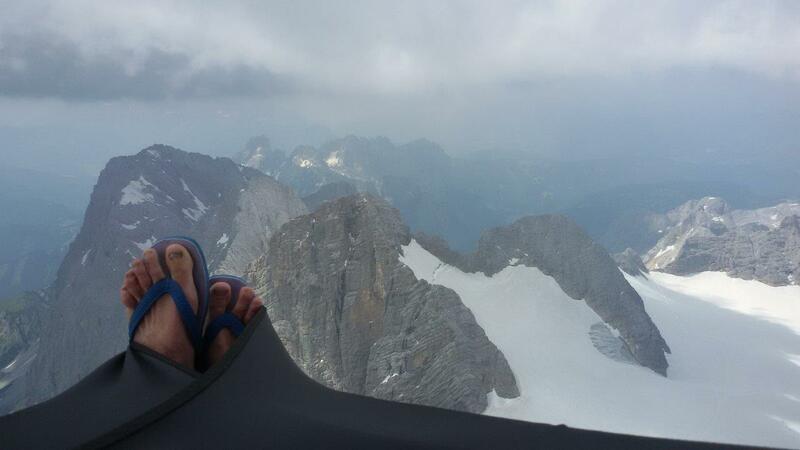 Soon I was approaching Salzburg airspace so I set off on glide. Finding lift before reaching the next hill I topped up again, being super conservative and conscious of my altitude. 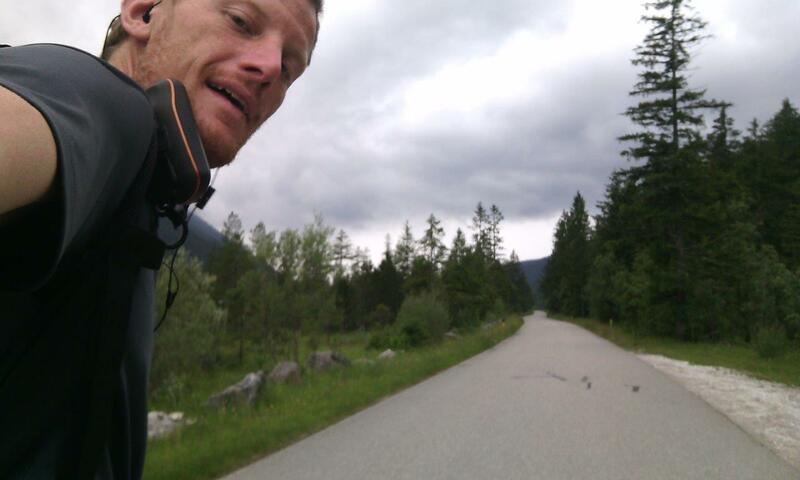 Even so though I pushed north headwind and found myself in a stronger core. Already on full speed bar I pulled in plenty of big ears but after a few seconds my height was alarmingly close to airspace. I started spiralling still with ears and full bar, something I’ve never done before, while a horrifying glimpse at my Flymaster showed only 6 metres of margin to spare. 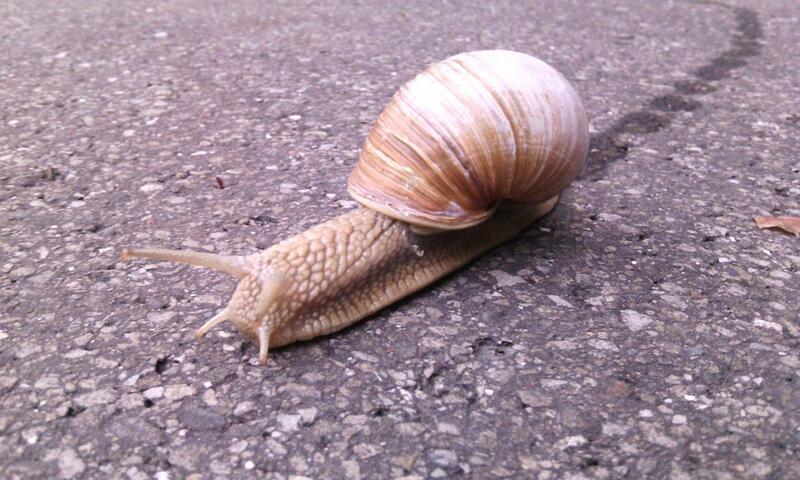 It would have been painful to have been disqualified so early in the race! From then on I kept a good margin and made heavy use of the bar. It was then that I noticed my glider pulling to one side. There was a tiny knot in the lines which no one had noticed. I thought about ignoring it but it was one of those days where I’d be using a lot of bar, so a few hills further along I landed to clear it. Taking off again I had to glide out over a very shallow slope to carefully find a thermal before charging on after the others who had now flown overhead. I wanted to be in the lead group and I could see everyone else using big ears to stay legal so I flew at full speed several hundred metres below airspace with no worries about going down (in fact my mood was subdued for the whole flight because I feared that I had broken airspace). As we approached the rock towers leading to the Dachstein I had left the trailing gaggle and was catching up with the leaders. If not for a few extra turns to be extra sure to have tagged the 50 metre radius turn point, I would have been right on their tails on course to turn point 2. Just behind I decided to take what I thought was a more direct line to the south, as they headed for the Tennengebirge mountains where I’d flown the previous day. Speed bar to the hilt I cruised along confident to have no problems finding lift further on. Unfortunately I totally misread the conditions, expecting a good north wind to help me in the valley. In contrast to the previous day where I’d hovered over the landing in 40km/h winds, today there wasn’t a breath of air to help me soar the forested hillsides. I landed in a dead end of a position, not even reaching the valley of Bischofshofen. I had a few hopeless re-flights in the hot afternoon sun on shallow slopes dodging trees and high tension power lines, before having to walk down into the valley. We expected a front to pass through but hoped I could get in an early flight from above the pass. After less than half an hour I’d decided it was quite unlikely, and Louis warned me about strong winds as the front already was passing turn point 3, but even though I agreed the chances of flying were less than 50% I still thought it was worth a try. Dan Meyers (our driver) turned back as I continued to find my way along a patchy track through the ground conifers that the nearby hut owner had said was “impossible”. A little further along and I realised why as the hillside fell away completely into a deep gorge. What’s more as I poked my head around the corner the wind was so strong you had to watch your footing, and the sky in front was black. I had to backtrack and by the time I’d reached the road (before 7am) it was raining with lightning and thunder. Time to get out the jandals – a bit of jogging on the downhills and the camera guys were happy to get some good footage. It’s quite amusing to see them take another shot at every bend. I kept going with a steady walk and after the front passed it gradually started to clear. 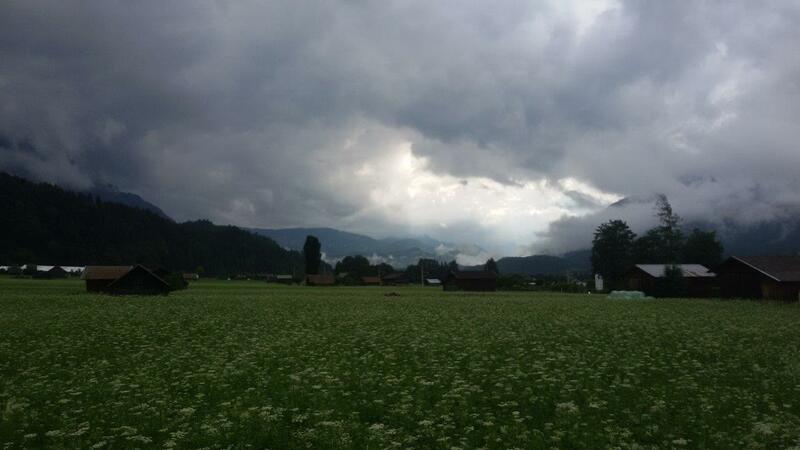 On the outskirts of Saalfelden I wolfed down a particularly memorable meal from a big white plastic bowl as I walked along. Ravioli with big chunks of meat in a wholesome sauce that came from one of the vacuum packs a friend had prepared for us. At Saalfelden we had to choose our route. After my disastrous early landing on day one I was firmly in last place. 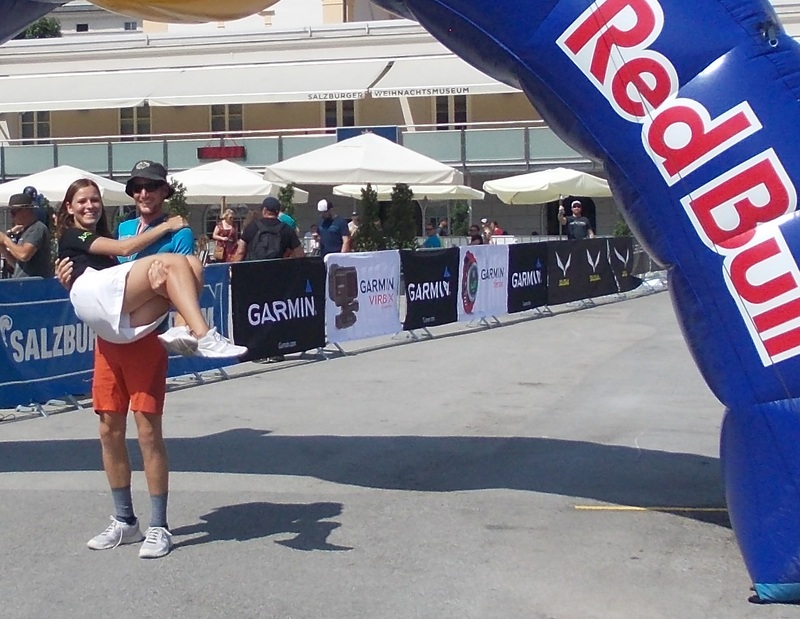 With good legs and a few competitors scattered within 30 kilometres ahead, Louis said if it was him, he’d just walk. But you have to take risks in this race. Despite fears of elimination I really didn’t want to change my style, because I think when you do that, you’re finished. It’s like everyone staying in your own half defending when you’re down a few goals – forgetting that to win, you need to score some goals yourself! It was a jolly crew once we started walking up the hill – my supporters, a few mates, my girlfriend, and the camera crew. The previous day no one had dared mention that I was at the very back of the field but I had always been upbeat about it and now they were able to joke about my situation. My supporter and two mates walked alongside with their wings. When we reached the take-off spot, Chris flew down, Louis took off and struggled. Andrew asked if I wanted his opinion – I’m pretty independently minded usually and this is the only time I had wind dummies for the whole race. He thought maybe I should continue higher up the hill to the col. We changed our minds several times but in the end I took off, flew straight to the spur and into a thermal, and then glided for the back cliffs which I had been told weren’t working. The cliffs worked and I gained height but more cautious than the previous day, I wanted to ensure I got as high as possible before gliding into the next valley. Probably the best help my mates could give me was to struggle on their way to the bomb out while I soared overhead – the wonders of a good confidence boost – I’m not sure if this is what they intended but it seemed to work! Nevertheless I spent quite a lot of time scratching around the high limestone cliffs, careful not to breach the airspace just to my west, finally pushing into wind and catching a glimpse around the windward side of the summit into the next valley. Wanting to get just a fraction higher before committing I hesitated before quickly losing 500 metres elevation. I stayed patient but never regained the same height, but in the end my glide on the leeward side of the ridge worked well enough. I tried to stay high and hide from the valley wind but in the end I fell back and used the valley wind to recover from very low and push further along the course line. I face landed above Waidring and rang to quiz Louis about the convergence I thought I could find nearby. It wasn’t to be in the end so landing in Waidring and feeling strong and motivated I climbed up the hill to take a shortcut towards Koessen. It was quite a long walk along the tops until I found a launch on the peaks but I managed a nice glide down in the setting sun. Packing quickly and getting on the road I enjoyed some company from my long lost relatives Doke and Gert as we pushed into Germany in the final hours, pulling up in the shadows beneath turn point 3 Kampenwand. 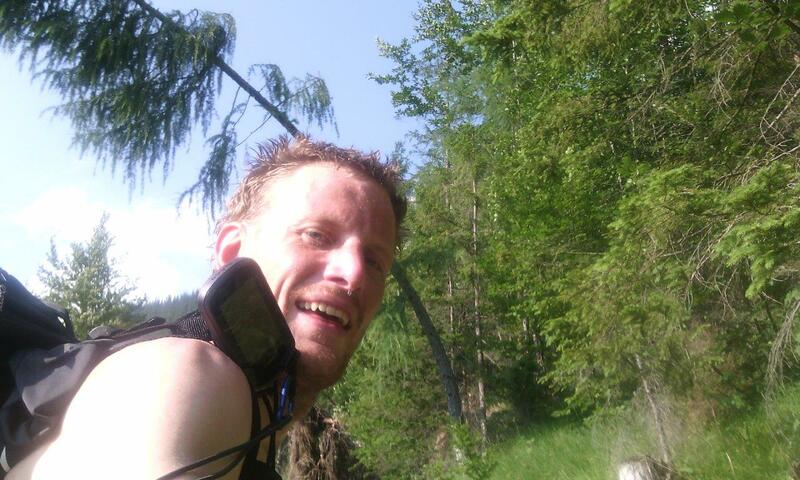 I enjoyed a slight sleep in due to the two hour penalty many of us suffered for losing the set route up the Gaisberg. It meant that by the time I was climbing up the slopes of the Kampenwand, the sweat was dripping off my face. After a day at the back, I overtook Yvonne and Thomas (GER2) not far from the turn point. They were intending to wait there for thermals. I hoped I could cross the Inn valley first and I rushed off to find a south facing launch, the wind was around 20km/h. Flying out towards the valley I hesitated on the last spur, where I managed to regain most of my height and then push upwind. 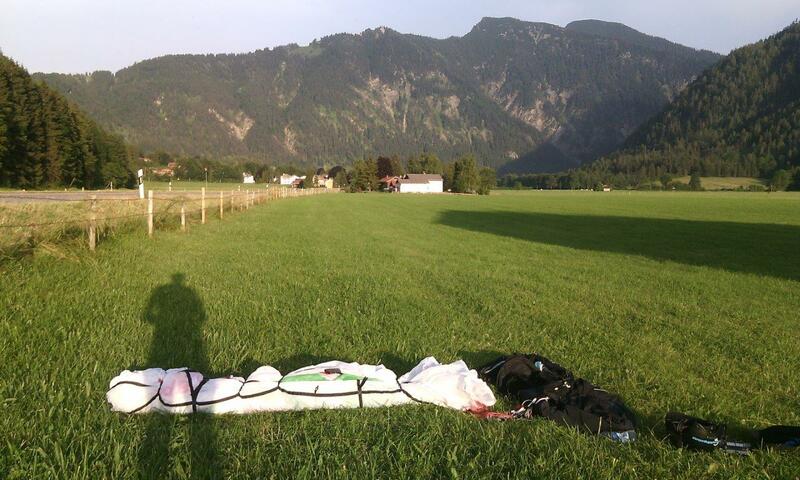 Although it was initially supposed to be a glide and walk it’s often worth staying in the air – but I didn’t manage to continue further than a few spurs so I landed in the valley. The support van, film crew, friends and girlfriend were there to encourage me along but soon it was time to leave them for a track to the next hill. Reaching a launch there was still a wind from the southwest. It took me three flights and top landings before I finally managed to climb up in the hot stable conditions over the top of the peak, with another few hills between me and the wide Inn valley, the main obstacle on my mind. I was patient but it was difficult conditions and it was a little frustrating to land in the very bottom of the Inn valley in the peak of the day. It was the same for the other xalpers around me though so it was time to get back on the road. Luckily the road route from where I was to the west was fairly direct, but also with forest shade and only occasional passing cars. There was just one more opportunity to fly in the late evening. Louis almost warned me off it due to strong winds but when I arrived there wasn’t even enough moving air to help me get the canopy up. Getting creative I managed to launch off a fairly flat clearing around ski lift cables and I hunted the sunny slopes for lift but it was too late. Still the glide was appreciated as with a deteriorating forecast it was going to be my last flight for a while. In the late evening Yvonne landed nearby and I overtook her just as was getting dark. Knowing that I had deployed my night pass and she hadn’t, she knew she was out of the race and was putting in a spirited last gasp. I gave her a hug and she wished me the best of luck. I can understand the elimination rule but of course it can be quite touching to go out so early in the race – particularly as the next turn point was her home town. A little further down the road and my supporters had claimed the roadside car park for a wardrobe and kitchen. I wanted to eat on the run but they insisted that I sit down, slow down, and come up with a plan. Common sense indeed but the reality is that my supporters were doing such a good job that I had no reason to be stressed mentally and I was being treated like a king physically so really I felt great. Sleeping enough remains a primary concern but rebellious until the end, I insisted that they were the ones that needed to ensure they rested enough – I maintain that driving a vehicle (with fatigue and distraction) is the most dangerous part of the race, not flying. We agreed that I would meet them on the other side of the pass where they would set up camp for the night, I’d continue on the road, and they’d meet me in the morning. 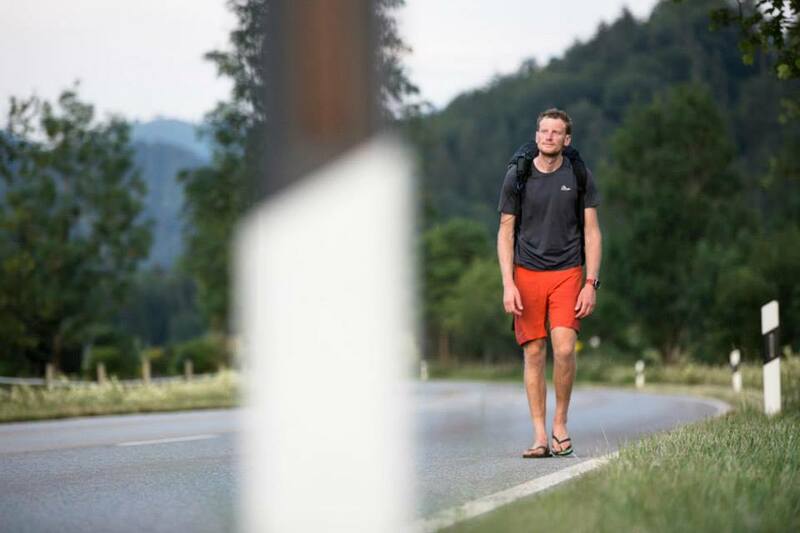 It was a great use of the night pass as I really needed to stop worrying about eliminations, the next day was unflyable (mental fatigue being a greater issue than physical exhaustion), and I really needed to get out of the German Alps and into the bigger stuff. We calculated that with the next full day of walking I could reach turn point 4 Zugspitze Lermoos Arena in the evening. So off I went. An impressive gust front and electrical storm cooled things off as I crossed the forestry roads over the pass and on the other side I changed into jandals and walked though the night on wet bitumen streets. Sleeping around 40 minutes from 2am I continued at a fast walk, having one 20 minute rest on the side of the road before calling the troops at around 7am the next morning. A cracking breakfast of course before finally crashing in the top bunk of the van at around 7 or 8am. A couple of hours sleeping was perfect to break the days up psychologically and I felt great as I pushed on through the cloud filled valleys. I changed into the light cheap running shoes occasionally but jandals were a winner during the showers of rain. 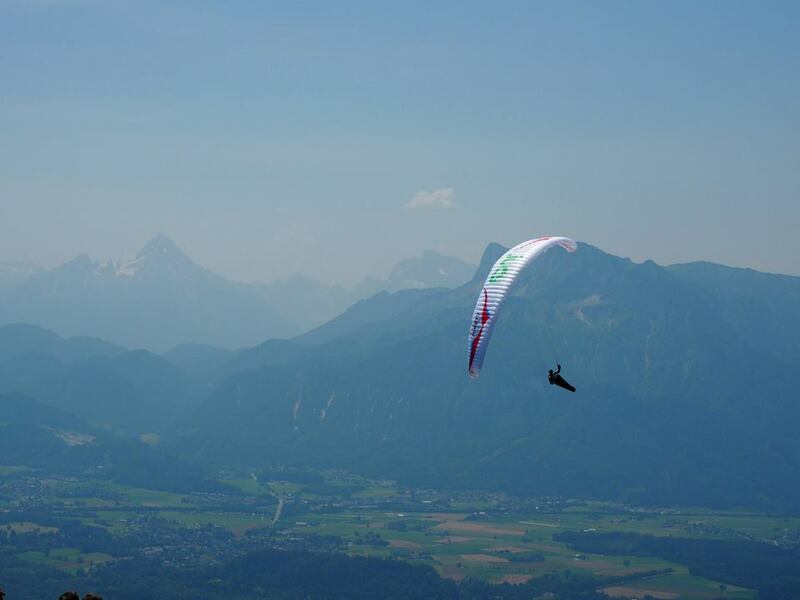 This entry was posted in Uncategorized and tagged adventure, adventure racing, europe, flying, paragliding, parapente, share my joys, xalps. Bookmark the permalink. Thanks for sharing Nick, I’m really enjoying your story.